Ava was a bee for Halloween this year. 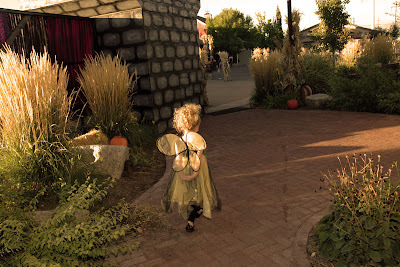 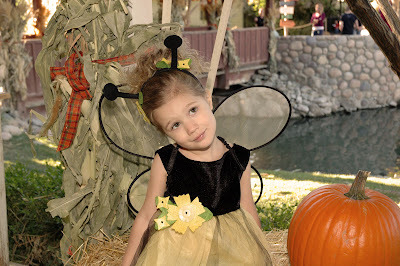 Although if you saw Ava the week of Halloween, you probably saw her in many costumes. 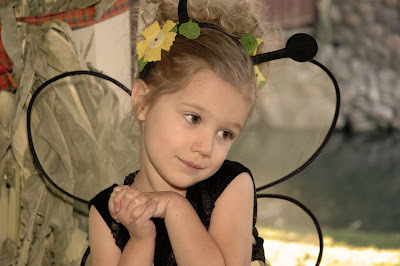 She insisted on wearing a different costume every day. 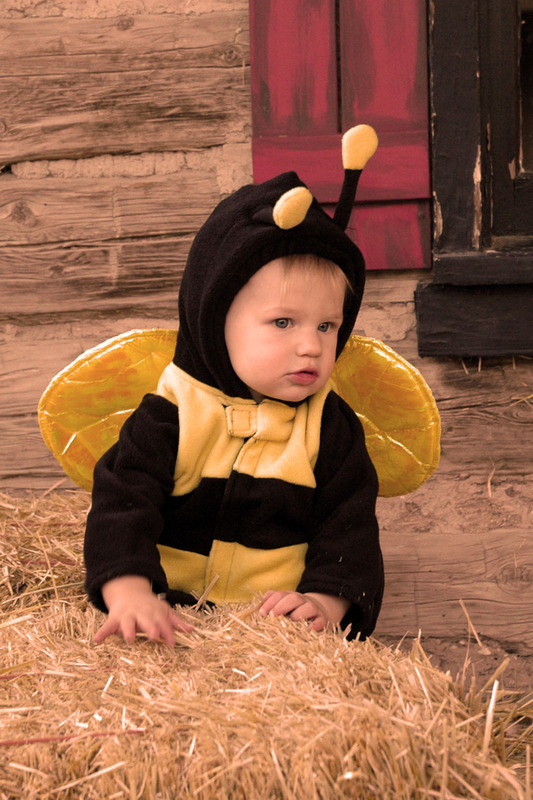 Christian was a baby bumblebee. Ava thought it was a lot of fun that she and her brother were both bees for Halloween. Ava said that she was the "princess bee" (her version of a queen bee we suppose) and Jellybean was her baby bee. 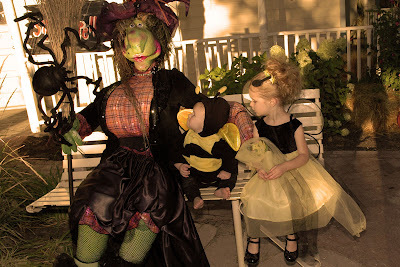 Per our annual Halloween tradition, we went to see the witches at Gardner Village and take pictures with a few of the cousins. 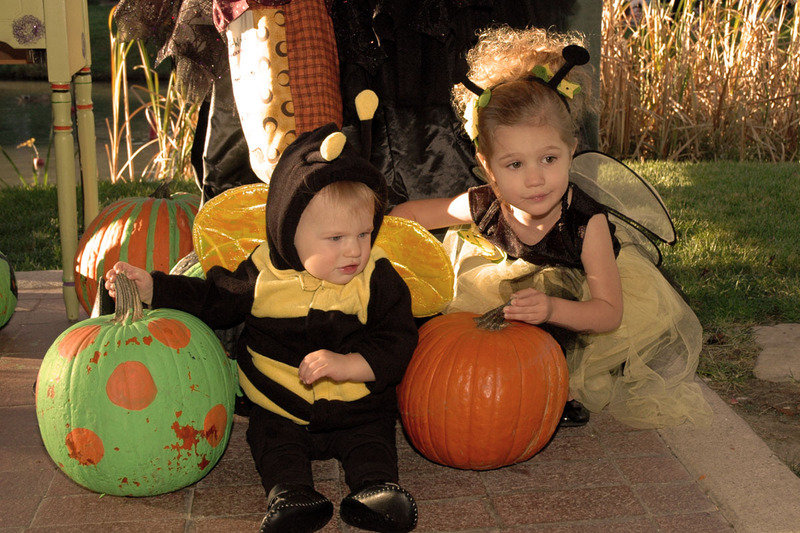 Here's Christian with cousin Zoe who was a cute little pumpkin fairy. 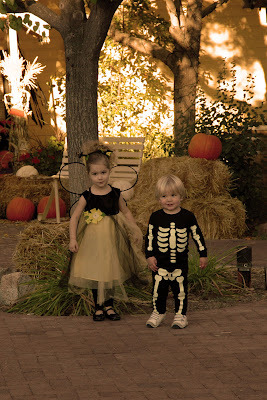 And here's Ava with cousin Zach dressed as a skeleton. After all the pictures were taken, Ava was ready to go trick-or-treating. Very cute little bees. 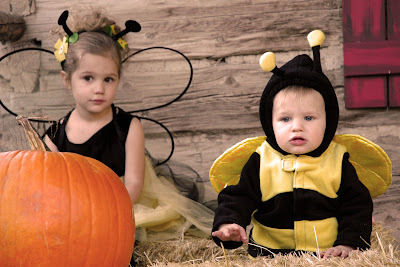 I had been meaning to ask you what they were for Halloween and I kept forgetting. 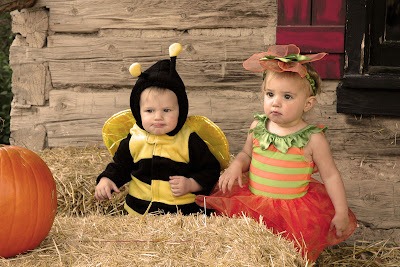 I like that they match but not exactly.